For most European’s, the copyright directive is a looming copyright disaster. Earlier this week, it was speculated that the legislation would be finalized after Germany caved to France. Those speculations became reality when yesterday, the copyright nightmare passed the “Trilogue” stage. With citizens looking on in horror and European businesses seeing their business lives flashing before their eyes, the reaction from digital rights advocates is quite predictable. The Electronic Frontier Foundation (EFF) slammed the legislation, not only denouncing it, but saying that it is “the worst one yet”. The organization points out that the laws kill protections afforded to artists and scientists. Those protections have been gutted and, according to the organization, hands unchecked power to the multinational corporate interests. They also discussed how it could kill small businesses in Europe who hope to be the next YouTube or Facebook with requirements to institute ineffective and excessively expensive censorship machines. As a result, only the largest platforms can survive in the environment. On top of that, it curbs free speech by killing satire, commentary, and educational exceptions because the censorship machines have no capability of distinguishing legal use from infringement. The addition of the link tax also means European’s won’t be able to take advantage of news aggregators. This key component in a modern internet would ultimately be off limits, causing European news organizations to operate at a severe disadvantage to their international counterparts. What’s more is that citizens would lose access to those aggregators which would otherwise help them find the news that they are interested in. 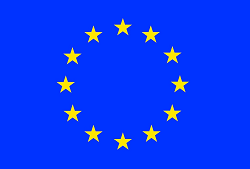 After that, the organization encouraged European’s to participate in the political process to try and put a stop to this law before it destroys the European Internet. Among the things is to sign the change.org petition. As of this writing, more than 4.7 million European’s have signed that petition. They also encouraged European’s to utilize the tools available to them to put pressure on lawmakers to stop this law dead in its tracks. With the future of a free and open Internet at stake, activists are going to leave nothing to chance. It’s likely more campaigns are going to take place in the lead up to the March vote. If lobbyists are still able to see the passage of the law, then those efforts will likely continue into April as well. Anything to save free speech on the Internet, really. Things only stand to heat up from here.